Today is the last Monday Blues post of 2013! I wanted to give a huge thank you to Mandy from Chameleon Stampede for hosting the link-up for us this year. I am proud to announce that in 2014, I am the official host of the Monday Blues link-up! YAY! 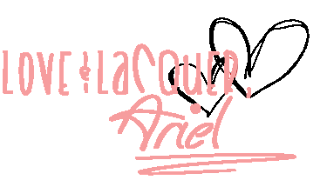 If you are a blogger and are interested in participating in the Monday Blues like-up, just let me know (email: ariel@lacqueristhebestmedicine.com) and we can get you all set up! Not my best freehand work, but I still love this mani! 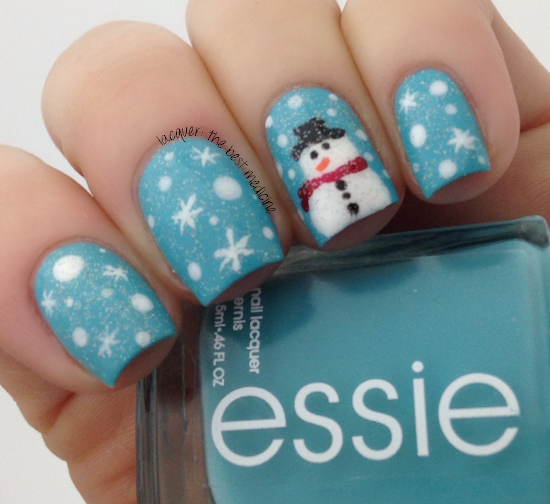 I started with Essie In The Cab-ana for the blue base. 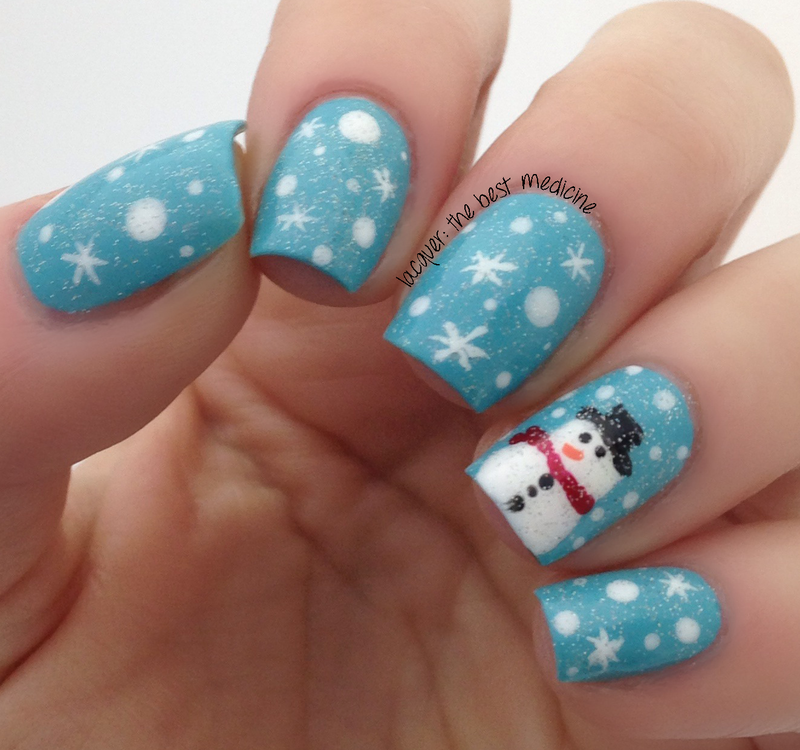 I freehanded the snowflakes and snowman using Rimmel French White Tip Liner, and used a dotting tool for the circles. 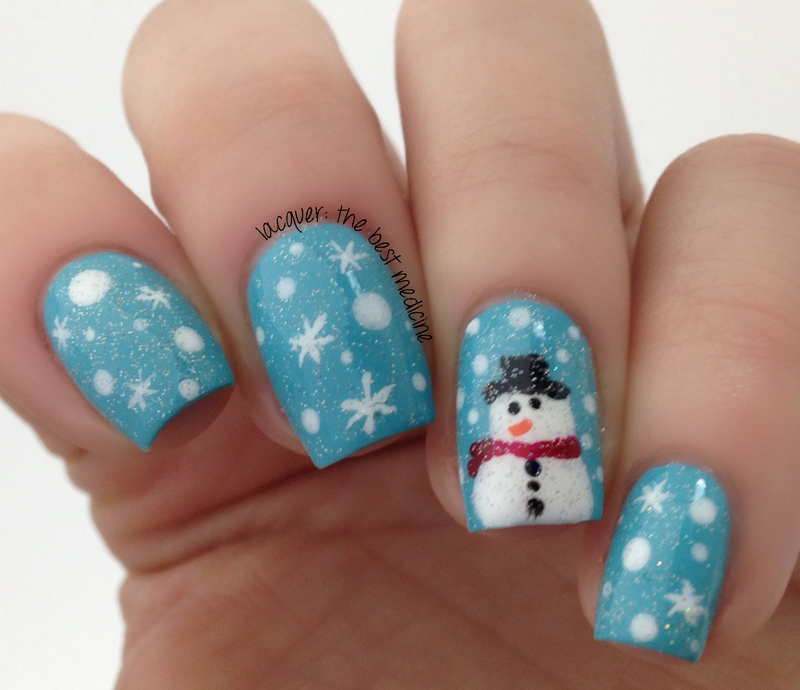 The black polish I used for Frosty's eyes, hat, and buttons is Wet N' Wild Black Creme. I used Confetti Cosmetics Brick for the scarf, and Wet N' Wild Sunny Side Up for the carrot nose. 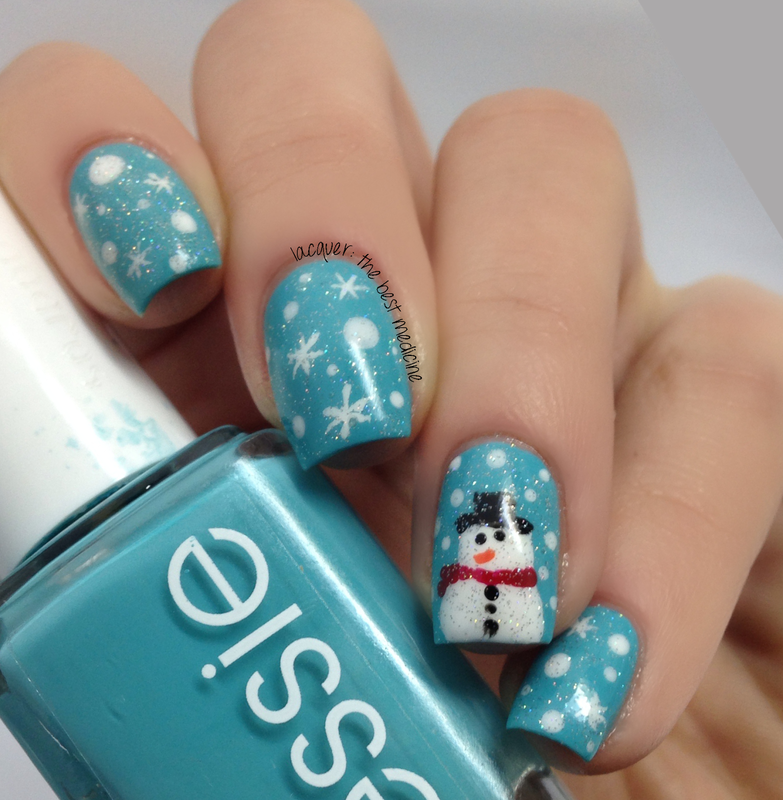 I loved the way it looked, but I knew it needed some extra snowy sparkle - so I added a thin coat of China Glaze Fairy Dust to all the nails, and of course sealed the whole mani with my favorite HK Girl topcoat from Glisten & Glow. 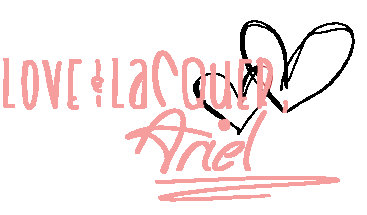 This is really cute Ariel! Happy New Year! Aww what a cute snowman!